In the beginning, there was a Windows application (“app”) called ICQ. It meant “I seek you.” It was, in its day, a novel concept, allowing the user real-time instant message (IM) dialogue with a circle of other users of the app. You could send short text messages back and forth, without cluttering up your e-mail Inbox. With governments in Canada then supporting the Canadian-developed Blackberry, out of Waterloo came the next generation of IM app, Blackberry Messenger, or BBM. It was a better IM app than ICQ, and more importantly, encrypted at both ends, and sent device-to-device. This meant that servers and routers didn’t retain your message. What appealed to users was that you could keep an exchange between them secure. Moreover, when users deleted the exchange, it went away permanently, just like shredding a piece of paper. As an MPP, we used BBM extensively. To send short messages back and forth between the Legislature and the Constituency Office, or when, for example, my staff would ‘message’ me to let me know they had arrived for our meeting to review documents. As Chief Government Whip, BBM helped me track down our Members and ensure they were doing their House or Committee duty. BBM made itself very, very handy in business and government. When Wi-Fi bandwidth grew sufficiently, you could have a user-to-user BBM voice chat over Wi-Fi. Like a message, a voice (or later, video) chat was encrypted at both ends, and even better, was digital in voice sound and video quality. I used it on business trips to keep in touch at home, and with the office. Our long distance charges went to zero. BBM didn’t require giving out your cell phone number. It used a PIN. This meant that the app could be carried, or ‘ported’ from one device to another when you upgraded your smart phone. Other such competing IM apps appeared, notably Facebook’s WhatsApp, and Skype, later purchased by Microsoft. We’ll deal with them in a moment. When the nature of Research in Motion’s business changed, versions of the BBM app were written for major hardware platforms (Android and Apple’s iOS). Once Blackberry hardware itself vanished, BBM was then a niche Apple and Android app. Once outsourced in this fashion, a lot of ‘code bloat’ appeared in BBM, which filled up with such eye candy as stickers and ads quickly. It wasn’t as tightly-focused as its users had remembered and loved it for. BBM’s global user base of about 55 million has been in decline for a few years. In April, 2019, BBM announced that the app itself would cease working after May 31, 2019. Farewell BBM. So what of the alternatives? With the impending end of the free version of BBM, users have four principal alternatives: two popular apps (WhatsApp and Skype), and two niche-market apps (Signal and BBMe). As well, there are other niche IM products that we’ll briefly examine. If you are losing your BBM circle of friends, you are nearly certain to find them all in one or both of WhatsApp and Skype. For non-sensitive personal communications, you’re likely to use one or both of these. Skype is another VOIP and IM app that does just about all of what the old BBM did. Skype is used by more than 300 million users worldwide, and is now a mature product. It allows the user end-to-end encrypted communication (with a warning proviso) between devices. It also allows a call to connect to a standard telephone, with the part connecting to the standard phone sent in the clear. Skype users have a Skype User ID, which could be your Microsoft user ID and password if you have other Microsoft products. Skype conversations are also portable across devices. If you start a Skype message thread on the bus to work, you can log into your laptop, and pick up where you left off, even going into voice and/or audio if you wish. Here is the warning: foreign and domestic governments, and police agencies, have the capability to eavesdrop on Skype conversations, and to have access to Skype users’ geographic locations. A simple request for information is usually sufficient, with no court approval needed. This ability was deliberately added for law enforcement agencies by Microsoft when they purchased Skype in 2011. Is it secure? Sort of. You are likely safe from rogue hackers. But don’t use it for important data or communications if, for example, you are doing business in another country where Internet traffic is routinely monitored by government agencies. The Blackberry Messenger Enterprise edition (BBMe) is similar in features to Signal, and most other IM apps. BBMe can be downloaded from the iOS and Android app stores. BBMe also has Windows desktop and Mac versions as well. BBMe is the very best of classic BBM, without the annoying parts and code bloat. It is free for the first six months, and $2.50 per six month period thereafter. If your organization and/or the people with whom you need to exchange sensitive information use BBMe, this is the IM app for you. Viber was originally developed in 2010 by Israel-based Viber Media, which was bought by Japan-based Rakuten in 2014. Since 2017 its corporate name has been Rakuten Viber. It is currently based in Luxembourg. Viber is available as freeware for Android, iOS, Microsoft Windows, macOS and Linux platforms. Users are registered and identified through their mobile device number. Viber service is accessible on desktop platforms without mobile network connectivity. In addition to instant messaging, Viber allows users to exchange other media such as images. Viber has more than a billion registered users on its network as of 2019. Why would you install it? Because a critical mass of the people you wish to deal with use it. Wikipedia lists dozens of other instant message apps, along with a side-by-side comparison of their features. As we bid adieu to the consumer version of BBM, we at least have a number of proven choices to move to in managing and organizing the short messages that would otherwise clog up e-mail systems. In October, the pharmacist at Shopper’s Drug Mart at Winston Churchill and Laird in Erin Mills administered my 2018-19 flu shot. 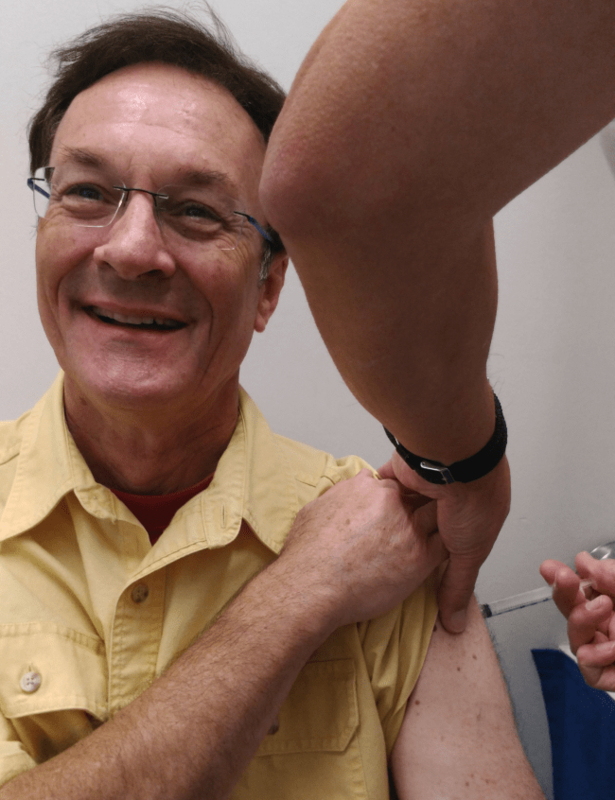 One the most frequently-read articles on my old MPP web site was always my annual post on getting the flu shot. Click or touch here to read it. I had never had the flu shot prior to being first elected in 2003. Over the years, I saw what a difference getting the flu shot makes. I get my own flu shot early in autumn each year. The winter surge in hospital admissions in 2018 was almost completely driven by influenza cases. The peak time for the flu to lay waste to your health is from December to March. You can reduce your risk to almost zero with a free flu shot. Make sure each and every person in your household, especially children and seniors, get the flu shot. Don’t put off the flu shot. Go into nearly any pharmacy, and ask for your flu shot. It is free. All you need is your OHIP card. I know a few of my friends had wondered, “Where is Bob?” during the 2018 municipal elections. There were some Mississauga municipal candidates: good and worthy people for the offices they contested, and also personal friends. I managed to help out in the waning days of the campaign. After the Ontario election, I and my colleagues all needed the month of June to clean out our campaign office; constituency office; and Queen’s Park office. That was a of of work to do within just a few weeks. By mid-July, I was being bothered by a hernia condition that, mercifully, did not affect me during the Ontario election. After the whole diagnosis, ultrasound, see a specialist, and book a surgery date process was complete, my surgery was performed on the afternoon of Wednesday October 10. The surgery was a complete success. Following my doctor’s recuperation advice, I was back skating, and in goal again, by mid-November. Many thanks to the team at Credit Valley Hospital, where Dr. Don Coughlan and a great team in surgery looked after me. I walked in and walked out within a few hours. Imposes a 25-member city council on the City of Toronto, negating a thorough process that chose a 47-ward system for that city. Bill 5 was time-allocated to truncate debate in the Legislature. It was not referred to a Legislative standing committee to hear outside output. No amendments were sought or were accepted. The government did not campaign on the bill, and its introduction came halfway through the municipal election period. From time to time, the Province does step into matters of local government. Most recently in Peel Region, it happened when the Dufferin-Peel Catholic District School Board was manifestly unable to resolve serious deficiencies. After months of effort to work with the Board and its trustees, Ontario sent in a supervisor to head the Board. Within a bit more than a year, the Board had been handed back to its trustees for governance. When the Province has historically stepped into local governance, it has been for a strong reason, and to fix something that had visibly gone wrong, and then only when no other option would work. A federal or provincial Bill becomes law once it has cleared third reading. Bill 5 has passed at third reading. After this, the Governor General (for federal bills) or Lieutenant Governor (provincial bills) must ‘proclaim’ the Bill in the name of the Queen. At this point, the bill is law. What has never been made clear, however, is how the bill itself will work. This ‘nitty-gritty’ detail comes in the form of regulations which specify how the bill’s provisions will work. What are the regulations that govern Bill 5? Not published as of August 14. Cities are ‘creatures of the Province.’ This means that the legal basis on which cities operate is dictated by provincial legislation, mostly the Ontario Municipal Act and the Ontario Municipal Elections Act. The City of Toronto has its own specific act: the City of Toronto Act. It is sensible for Ontario’s 400 + municipalities to operate on a common framework, and for each municipality to choose its council in a manner compatible to other provincial towns and cities. Canadian courts are properly cautious about a challenge to a bill passed (regardless of what you think of the government or its process) by a provincial legislature or by our federal Parliament. As such, the threshold for a court to strike down legislation is a steep one. Unworkability: May a government use its legally-elected majority to redefine how an election proceeds when it is half over, and do so by means unspecified in the legislation? How do candidates switch wards (in Toronto), or wind up campaigns already well underway? How are expenses reconciled and reimbursed? Outside Provincial scope: The Province was not asked by any city to undertake this reorganization initiative. Ontario (and the other provinces) may properly undertake to ensure that municipalities function, and elect their representatives, according to the accepted terms of a level playing field. But the Province is indisputably interfering in an independent level of government’s functioning, and doing so in a manner that will cause maximum confusion, and very possibly, injustice. Perhaps there are other legal considerations that Toronto – or other plaintiffs – may user to challenge the Province. The precedent created by Bill 5 would allow, for example, the Province to declare that Mississauga would, after 2022, be governed by a mayor and six councillors; Brampton by a mayor and five councillors; and Caledon by a mayor and one councillor. The Province could, as the original author of the various regional acts, arbitrarily dissolve entire regions without consultation, and create megacities modelled on federal riding boundaries. That, in fact, was actually done by the Harris government in the late 1990s. When federal riding boundaries change in the future, would this then cascade into changes in municipal boundaries? By cancelling the election of the chairs of four Ontario regions (Peel, York, Niagara and Muskoka) while allowing regional chair elections in other regions (Halton, and others), is the Province saying that it alone reserves the right to change the terms of those regional elections as well, or simply to take upon itself the power to appoint all regional chairs? The various acts governing cities and the regions don’t envision this possibility, but don’t preclude or forbid it either. Bill 5 is both bad legislation, and dangerous legislation. Merlin and I have been inseparable since Merlin came home in February of 2016. My former MPP Constituency Office in Meadowvale closed in late June of 2018. We have returned the keys to our landlord. The Legislature has taken back its property. If you are looking at this site to reach the new Member of Provincial Parliament for Mississauga-Streetsville, the Constituency Office address and telephone number may have changed. My former staff and I have, for the past 15 years, enjoyed the privilege and responsibility of serving our neighbours in Lisgar, Meadowvale and Streetsville. Life continues. We thank the many friends we made during our years of service for their contributions to making our northwest corner of Mississauga a better and stronger community. I listened to suggestions, and am considering some options during a short breather after the hectic life I lead as the local Member of Provincial Parliament for Lisgar, Meadowvale and Streetsville. Please do not send e-mail to our former Constituency Office e-mail addresses any longer. My former MPP e-mail address no longer works. I welcome your e-mails and letters. To get the postal address for personal mail to Bob Delaney, please request Bob’s postal address at the e-mail address below. You can still reach former MPP Bob Delaney by e-mail at mailbox@bobdelaney.com. 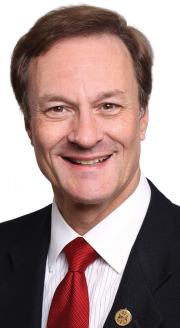 This is the personal web site for Bob Delaney, former Member of Provincial Parliament for Mississauga-Streetsville (2003 to 2018).